West Ham United’s revival under David Moyes looks to be a gift to Fantasy Premier League managers. Saturday’s 3-0 win at Stoke City delivered a third successive clean sheet for their defence, while they also boast several midfield candidates who could challenge for spots in FPL squads. Moyes has paired wingers Marko Arnautovic (£6.8m) and Michail Antonio (£7.4m) in a front two over the last three matches. While Antonio has been an FPL favourite in previous seasons, it has been the Austrian who has caught the eye. 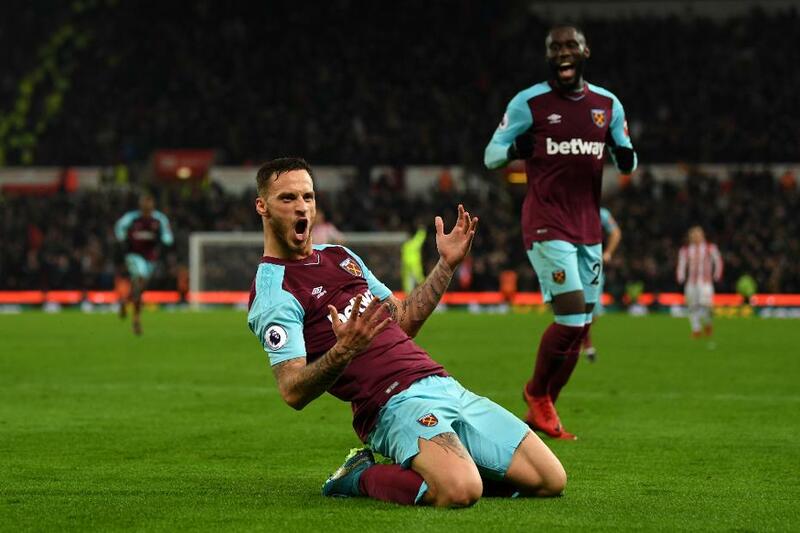 Arnautovic scored his second goal in three Gameweeks at the bet365 Stadium. He has had 13 shots over that period, matching Mohamed Salah (£10.0m) among midfielders. Arnautovic is surpassed only by striker Harry Kane (£12.8m) overall, with 20 shots. Part of just 37,000 squads (0.8%), Arnautovic could be a powerful differential, but he is a minor doubt for the Gameweek 19 meeting with Newcastle United due to a calf problem. Manuel Lanzini (£6.8m) should also be considered, with Saturday’s hat-trick of assists highlighting his potential. A key figure at set-pieces, the midfielder tops West Ham's ranks for chances created this season, with 24. The Argentinian will struggle to match Arnautovic for goal threat, although he may still remain in the pecking order for penalties despite a miss at Everton in Gameweek 14. Also The FA has confirmed Lanzini has been charged with deception in winning a penalty at bet365 Stadium, which could hand him a two-match ban if upheld. Moyes’s defence has already sparked FPL interest. Angelo Ogbonna (£4.4m) has been signed by 38,000+ managers, making him the third most popular defensive signing ahead of Gameweek 19. Arthur Masuaku (£4.4m), who is being used as an attacking left wing-back, has picked up 10,000 new owners. Adrian (£4.3m) is also attracting renewed attention. Having claimed the goalkeeper’s jersey from Joe Hart (£4.4m), the Spaniard offers a cut-price option for FPL managers. West Ham's prospects are boosted by two fixtures in Gameweek 22 when they face both West Bromwich Albion (H) and Tottenham Hotspur (A). Managers can capitalise on their current form and prepare their squads for that double-header, but no fixture in Gameweek 21 means early investors will need to have options on the bench to step in.